In the nineteenth century Scotland held the attention of the romantic imagination in all branches of the arts, including music: Mendelssohn’s Hebrides Overture and Donizetti’s Lucia di Lammermoor are examples of Scotland’s influence on composers, even if their actual experience of Scotland was slight. Painters, too, were drawn to the magnificence of the Scottish landscape, and indeed often exaggerated it in their romantic enthusiasm: Highland mountains often seem loftier in nineteenth century paintings, waterfalls whiter, mists thicker, and even stags more at bay. Reality may be impressive, but sometimes it is not quite as impressive as we would like it to be. 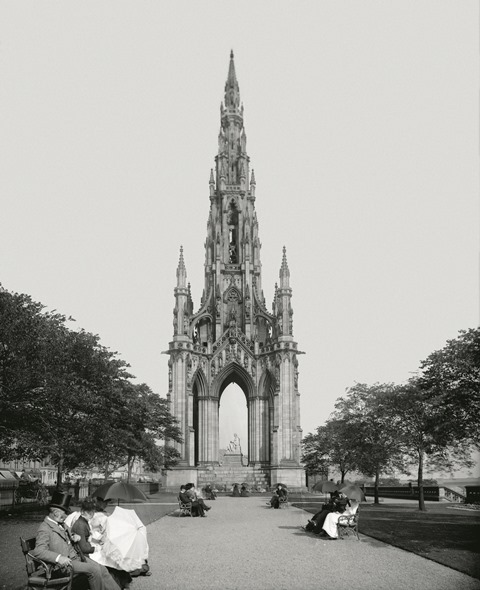 In literature, the greatest romantic of them all, Walter Scott, put Edinburgh at the heart of European literature, while at the same time effectively inventing an idea of Scotland that proved not only popular but also persistent. The literary critic Stuart Kelly has described that invention in his book Scottland: if it had not been for Scott, he suggests, we would never have all the familiar accompaniments of stage Scottishness: the ubiquitous tartans, the shortbread tins with Highland cattle, or even the songs of Harry Lauder and Kenneth McKellar. The point is well made, but even if Scott’s vision of his country inspired a raft of romantic contrivances, his literary achievement is still outstanding. Scott is generally credited with the invention of the historical novel. And it was no bad thing for Scotland, surely, that this small nation on the edge of Europe should have produced a writer whose fame was unequalled in his day. It was quite fitting then, that the city should have created for him a monument on such a scale. Most writers would be more than satisfied with a modest plaque on the side of their former home: Scott was given an astonishing spiky edifice, complete with winding stone staircases up which literary pilgrims may climb their way to the top. It certainly makes its point: altogether there are over 80 statuettes on its exterior representing characters from Scott’s novels or figures from Scottish history. To the modern eye it is, admittedly, odd to the point of being eccentric, but it is a landmark without which one of the best known views of Edinburgh – looking west along Princes Street – would appear very different. The story of Edinburgh’s association with literature does not begin with Scott, or even with Burns. In the fifteenth and sixteenth centuries the Scottish court was enlivened by a number of poets, or makars as they are known in Scots, whose works laid the foundations of a national literature. William Dunbar, a poet, and David Lyndsay, a playwright, both found time outside their courtly duties at Holyrood to satirise the state of Scottish society. Lyndsay was the author of A Satire of the Three Estates, which is widely regarded as the first great Scottish play. That tradition of poking fun at human foibles is still strong in Scottish writing, and is probably the reason why Molière translates so well into Scots; more than one modern Scottish writer has produced Scots language versions of the French dramatist’s works, with one of these, Liz Lochhead’s Tartuffe, proving lastingly popular with the public. Just about every street of any note in the Old Town has its literary associations. The area around the University is particularly rich in this regard, even if the University’s attitude to its architectural heritage has at times been disappointing. The redevelopment of George Square and some of the surrounding streets changed irrevocably an area of great character that could have been conserved and sympathetically modernised. As building after building was replaced, it has become increasingly difficult to find the sites in which men and women of note lived. Plaques that say something like On this site stood the house in which… are depressing reminders of how our connections with our cultural past may be lost, overnight, and so very easily. Cities have to change, of course, but change need not obliterate character and particularity. How dull life will be when we find ourselves all living in cities that look the same as each other – bland, utilitarian boxes of concrete and glass that could be anywhere, and are in fact nowhere. Edinburgh’s close association with literature continues. It was the first UNESCO city of literature, a title given to a handful of cities that have particularly strong literary connections. It also has its own makar – an official poet – in the same vein as the poets that once received the patronage of the Scottish royal court centuries ago. In one view, poets should never be official, as ‘official poetry’ can often be strained and meretricious. Scotland’s official makars, both local and national, have been anything but that, and in Ron Butlin, who occupied the post in Edinburgh, we found a poet who captures the moods and ways of Edinburgh beautifully. 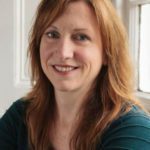 In fiction, the contemporary city has been portrayed with verve and wit by writers who have set their face against the conventional vision of Edinburgh and have concentrated instead on those at the receiving end of society. Irvine Welsh presides over that school of Edinburgh writing, and does so with considerable skill and humour. Welsh’s Edinburgh – or Leith – exists, of course, and is part of the fabric of the city’s life, as is the dark underbelly that Ian Rankin describes in his Rebus novels. 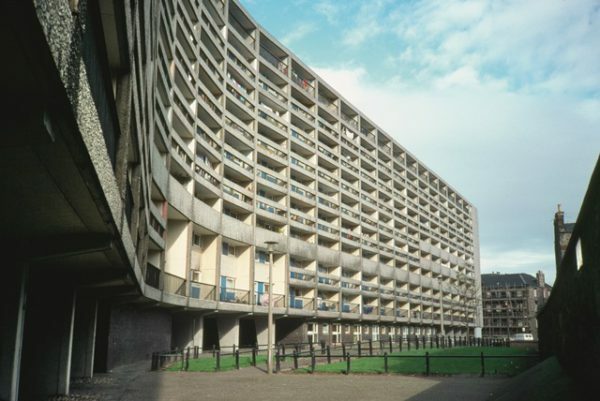 The contrast between worlds – the world of wellset middle class Edinburgh and the world of deprivation and desperation – is stark, but undoubtedly adds to the richness of the city’s literary portrayal. 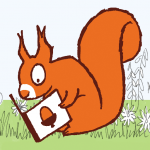 It is not necessarily a comfortable literature: there is resentment and irony and pawky irreverence. There is light and dark along with a great deal that is opaque. Which suggests that the Edinburgh literary imagination exactly mirrors the city it sets out to portray – a city of complexity and subtlety, revealed at one moment, concealed the next. 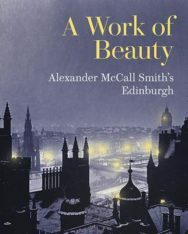 A Work of Beauty: Alexander McCall Smith’s Edinburgh by Alexander McCall Smith is out now published by Historic Environment Scotland priced £14.99. If you enjoyed this article you might also like this Books from Scotland Q&A with Alexander McCall Smith about his 2016 novel My Italian Bulldozer.